following ​their 2-1 defeat on the south coast. 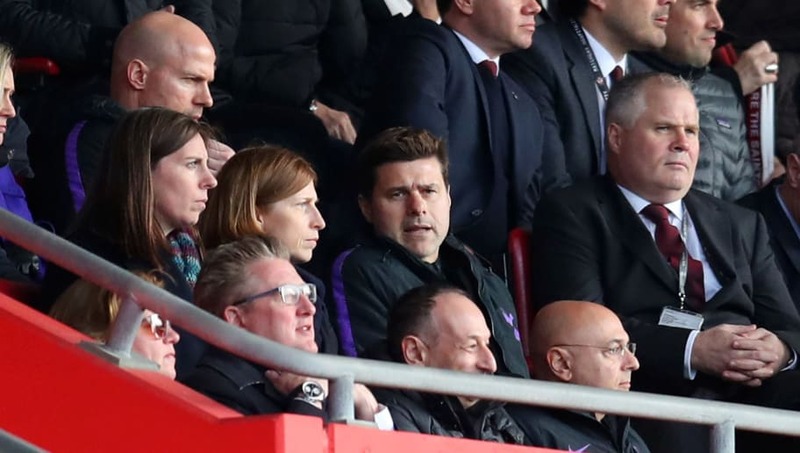 Pochettino was in the stands at St Mary's, serving the first of a two-game touchline ban, and saw Spurs take a deserved first-half lead through Harry Kane's 200th career goal, but goals in the second half from Yan Valery and James Ward-Prowse condemned the visitors to a fourth league game without a win. Speaking after the game, the Argentine found it difficult to put his finger on the reason for the drop in performance levels after the break following a dominant first half. As quoted by ​Sky Sports, he said: "We didn't respect too much the opponent, and in football first of all you must first respect, then fight, then play football and show your better quality than the opponent. "Hard to believe? No. The challenge that we are trying to develop, I think it is our challenge to have the momentum in the game. It's difficult to understand the second. We really stopped the fight, stopped being aggressive, we started to give the belief to the opponent, and that is the worst. The result comes after ​Spurs' impressive midweek win over Borussia Dortmund to reach the quarter-finals of the Champions League, although Pochettino claimed the 'arrogance' he saw from his side against the Saints had him 'worried'. He added: "We played the first half like [one of] the best eight teams in Europe but in the second half we need to watch the game, we need to analyse and we need to be critics with ourselves. I am so, so, so disappointed. "I am a little bit worried about this change from the first half to the second half - it's only one thing, it's mental. It's about complacency, it's about arrogance in a bad way." The result means ​Manchester United can go level on points with Tottenham in third in the ​Premier League should they beat Arsenal, as the race to finish in the top four hots up, with Pochettino hoping the defeat will act as a reality check for both his side and onlookers. He concluded, stating: "I think it's good now (that we're in a battle for the top four) that people now are going to realise our real level and maybe stop with the perception. We need to be careful how we assess ourselves and it's so important to live in the reality."